Stacy Bromberg is for many years the dominating female player of the USA though despite taking part several times in the Winmau World Masters she never had success in Europe. Long years she was the number 1 in America, is member of the national team and was during the WDF World 2009 in the USA the only American player who could win a tournament. She always took part as long as it existed in the ladies tournament during the Las Vegas Desert classics and won it once so she is the only American LVDC winner. After it stopped she always played the qualifications with the men. 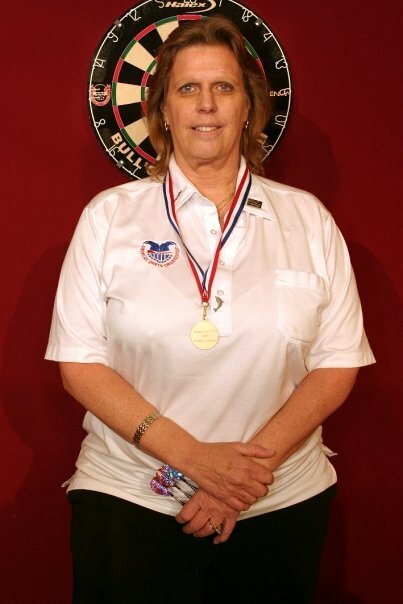 In 2010 she won the American qualifier for the first PDC Women's World Championship and managed to play herself into the final. Stacy Bromberg is the American representativ of "The Hearts of Darts" and every year during the LVDC she organised the "Make a wish" fundraiser for the Score for Charity. Bromberg is not a fulltime professional. She studied law, worked as private investigator, in the financial branche and at the moment as a teacher.